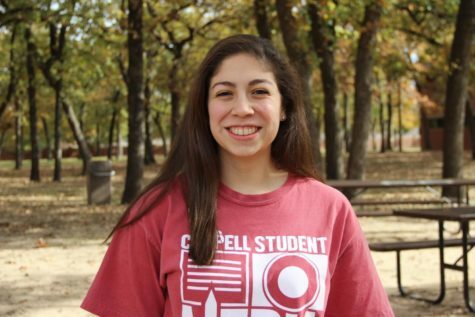 Each year, Coppell High School sophomores are faced with the decision of selecting International Baccalaureate (IB) or Advanced Placement (AP) courses for their next two years of high school. Many consider joining the IB program because of its prestige and international recognition but are hesitant because of the workload that comes with it. Thursday night, the IB program at Coppell High School hosted an informational meeting for current sophomores who are considering joining IB. 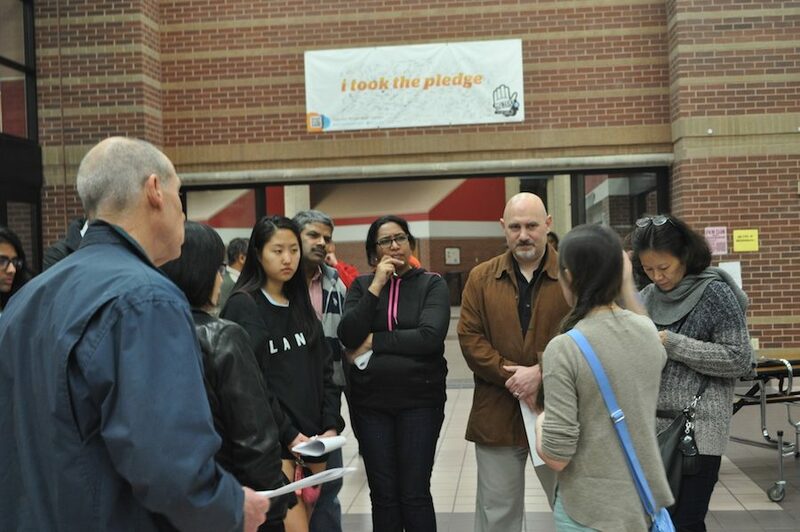 Students and parents circulated through the small commons asking current IB students what the program is like and how the experience has been for them. CHS sophomore Emil Aaltonen attended the meeting because he wants to attend college in Finland and plans on taking IB classes next year to gain transferable credits. “It’s a more well rounded course and if I want to study abroad, I can,” Aaltonen said. Apart from an international education, a difference between the IB and AP programs is that IB requires students to take a Theory of Knowledge (ToK) course, a class in which students assess what knowledge is and how people know what they claim to know. They are also required to complete a CAS (Creativity, Action, Service) project and regular CAS activities which involve at least one of the three disciplines of creativity, action or service. At CHS, CAS has helped form a sense of community among IB students as they often complete the activities together. Though the program at CHS offers a sense of community as well as international college credit, it is the workload that many students are apprehensive about when thinking about joining IB. “I’m scared about time management because I also do band and I’m just worried that it’s going to be less sleep for me,” CHS sophomore Eunice Tan said. Also taken into consideration when students are completing course registration forms is whether or not they would fit well in an IB environment. Coppell High School IB coordinator Michael Brock helped distinguish the difference between AP and IB students. According to Brock, the decision to join IB or AP ultimately comes down to the student and their post high school goals. For more information about the IB program visit the IB website or email Brock at [email protected].